Julie is a graduate of the University of Wisconsin - Stevens Point, with a degree in fine arts and biology. For several years she worked for the University of Minnesota creating illustrations for the medical field. In the late 1980's she began a freelance career as a natural science illustrator working with studios, museums, universities, and publishing companies. Julie's work is featured in many textbooks, journals, field guides, and museum exhibits throughout North America. Her botanical work has been shown at the Weisman Art Museum in Minneapolis MN, the Bloomington Art Center in Bloomington MN, and at the Ripple River Art Gallery in Aitkin MN. One of her paintings is toured in "Loosing Paradise?" 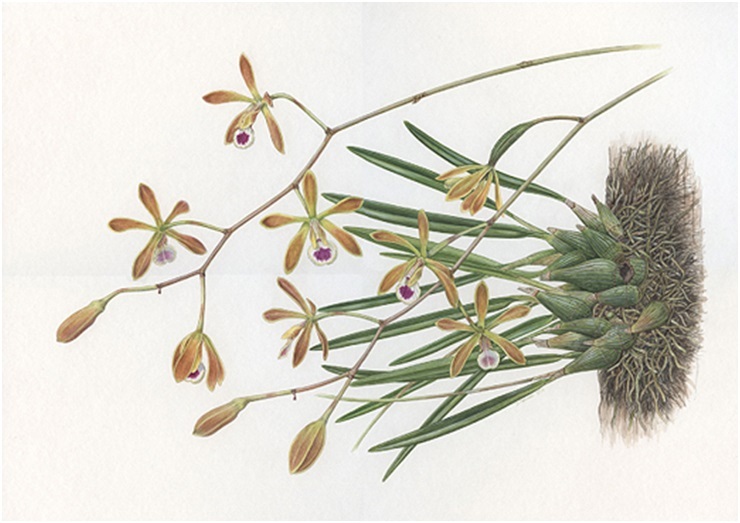 an ASBA international travel exhibition featuring endangered plants from around the world. Julie has also been an instructor at the Minnesota School of Botanical Art for several years.